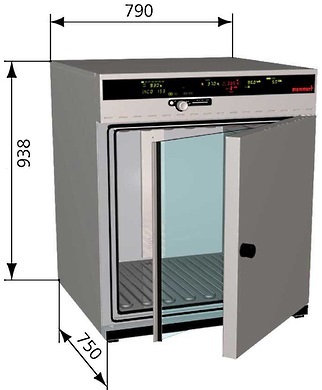 The Memmert INCOmed CO2 Incubators will grow and safely protect biological samples in controlled and ideal environments. 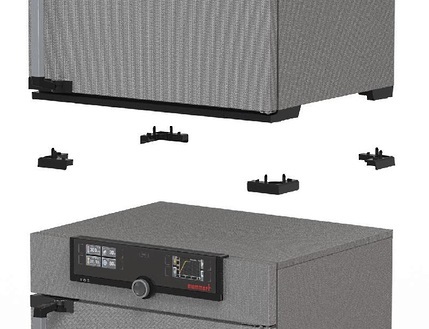 Alarm functions, three-fold over-temperature protection and simultaneous display of all parameters provide safety for samples and cultures in medicine, life science, environmental technology, bacteriology, virology, biology, biotechnology and zoology. Especially for in-vitro fertilization, the precision and reliability of a CO2 incubator are of crucial importance, as the slightest deviation in the CO2 atmosphere, temperature or humidity content during cultivation can affect cell development. Memmert INCOmed CO2 models are classified as Class IIa medical devices and comply with the essential safety requirements of the European Medical Devices Directive 93/42/EEC. 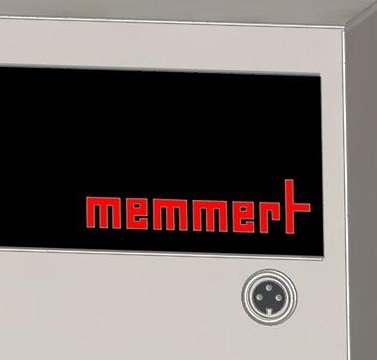 The state-of-the-art control technology is based on Memmert’s Perfect performance class. The basic standard incubator models INCmed108, INCmed153, and INCmed246 can be expanded by additional optional modules. 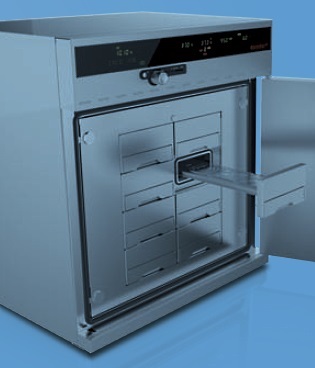 Proven Memmert technology in heating the inner chamber from all six sides, along with the electronic humidity limit control, prevents condensation from forming in the inner chamber, while offering maximum protection to cell cultures. 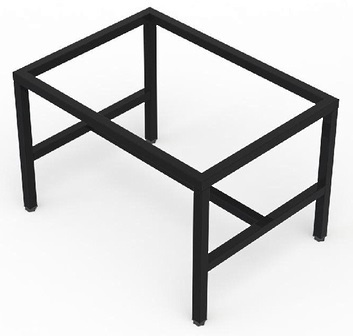 An aluminum thermal conductive layer supports optimum temperature distribution, and serves as a heat accumulator in case of a temporary power failure. The turbulence-free chamber ventilation insures a constant and uniform atmosphere. 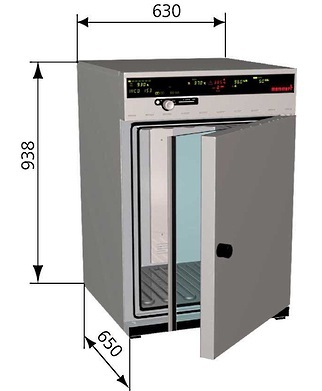 Each INCOmed CO2 incubator has a double locking fully insulated stainless steel door and an inner glass door with an 8 mm diameter opening to take gas samples. As much function as necessary, as much individuality as possible! 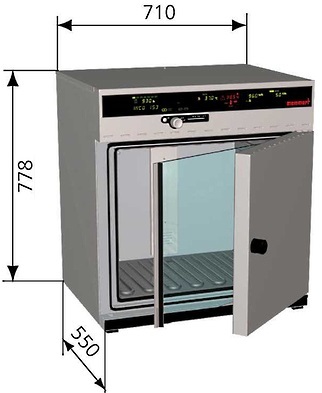 Contact Rose Scientific to custom design the Memmert CO2 Incubator Model INC108med, INC153med, or INC246med that does what it needs to do with the resources available. The ordering number is assembled from the catalog numbers of the various options at the time INCOmed CO2 incubator model is ordered. 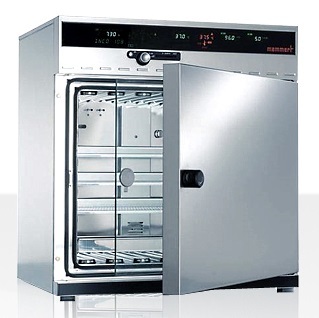 Memmert supplies a 3 year guarantee on appliances, not including parts subject to wear and tear.